A crime reporter meets with a psychologist to investigate a serial killer in New York during the late 19th century. Lily, orphaned as a child, becomes the heart of a disenfranchised community in London, where she attempts to reunite people with their families. A faded TV actor and his stunt double strive to achieve fame and success in the film industry during the final years of the Hollywood Golden Age in 1969 Los Angeles. 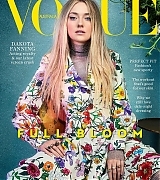 Visit www.elle-fanning.net for all things Elle Fanning! Do you have photos, magazine scans, videos, or anything that you'd like us to add to our archive? If so, you are more than welcome to send them our way. We are always accepting content donation, and we will aways credit you - just make sure you give us a name and a link. You can send them to our e-mail address and we'll reply as soon as we add them to our fansite. Please note that anything that violates Dakota's privacy will not be posted. 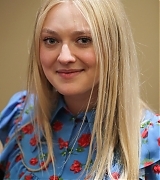 Lovely Dakota (www.dakota-fanning.org) was created by fans, for fans. All original content and graphics belong to Lovely Dakota and cannot be reproduced in any form without the permission of the webmaster. All professional photographs in our Image Archive belong to the original photographers. 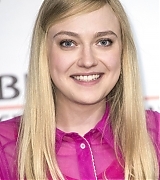 This is a nonprofit fansite and has no conection with Dakota Fanning, her family or management. No copyright infrigment is ever intended, please contact us before taking legal action. 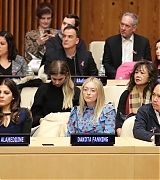 Earlier this week (April 5), Dakota attended the annual United Nations Observance of World Autism Awareness Day! 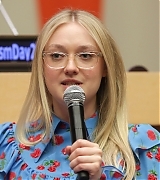 She spoke at the annual Autism Day meetings where she discussed the film “Please Stand by Me” during the afternoon, before she later at night attended a special screening of the film. 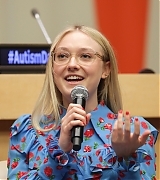 Below you can watch a video from the event, in which Dakota talks about wanting to break down autism stereotypes – our gallery has been updated with photos! Our gallery has been updated with new promotional stills from Please Stand By! Dakota has given InStyle an interview about her upcoming film Please Stand By, which is out now in select theaters and on demand. The original article can be found here, and you may read it below. 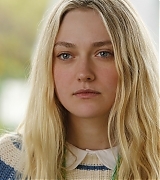 Dakota Fanning has always been wise beyond her years. The blond-haired, doe-eyed actress got her first major role at the ripe age of 7 in 2004’s I Am Sam. 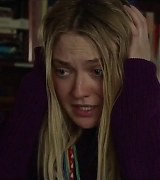 Her performance as the precocious child of a developmentally challenged father (Sean Penn) earned her a SAG Award nomination the following year, making her the youngest nominee in history. Now 23, Fanning shows no signs of slowing down. She currently stars as a police secretary on TNT’s period drama The Alienist and has a new film, Please Stand By, about an autistic woman who escapes from her group home to submit her Star Trek script to a Hollywood writing competition, arriving in theaters and on demand today. The latter was something of a-full circle moment for Fanning, as the subject matter paralleled the project that cemented her status as a leading actress. Here, Fanning discusses her new movie, learning to speak Klingon, and the need for female-focused stories. What drew you to this script? It was so well-written and so moving. [Wendy] had so many quirks: her love of Star Trek, knitting, her dog … there were so many little things that were woven into her. Most importantly, the character didn’t lead with the fact that she was on the autism spectrum. There were so many other things that were more important about her. Entertainment Weekly has released the very first trailer for Dakota’s upcoming movie Please Stand By! It is a very comprehensive trailer, mind you. Their website is a pain to get embed codes from and impossible to get screen captures, so we got the video from a Youtube channel instead. We’ve added screen captures from it to our gallery, as well as the first official poster. Dakota is currently in Rome for the premiere of Please Stand By! She also attended a press conference, a photocall and a special party for the film, which was thrown by Tiffany & Co. Our gallery has been updated with images from those events! Public Appearances > 2017 > Oct 31 | “Please Stand By” Dinner by Tiffany & Co.